"Nṛsiṁha-deva offered Prahlāda Mahārāja, 'Now you can take any kind of benediction you like.' So Prahlāda Mahārāja replied, 'My Lord, we are materialists. I am born of a father absolutely materialist. So I am also, because I am born of a materialist father, I am also materialist. And You, the Supreme Personality of Godhead, You are offering to give me some benediction. I can take any kind of benediction from You. I know that. But what is the use of it? Why shall I ask You for any benediction? I have seen my father. 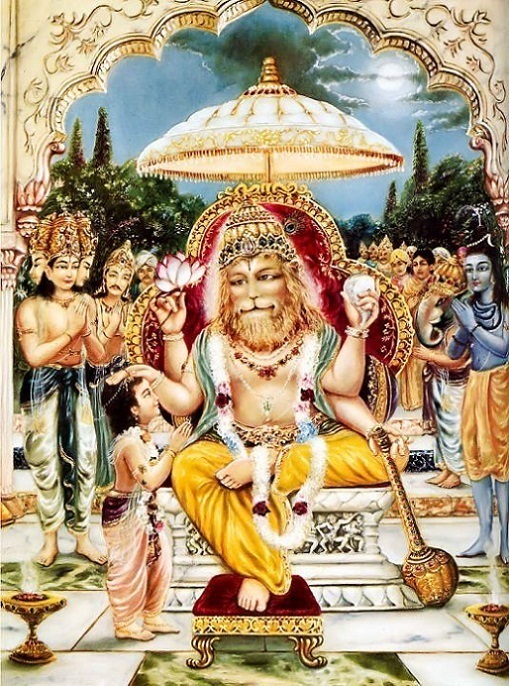 So anyone who has become a Vaiṣṇava, a devotee of the Lord, he is giving the greatest service to the family. Because in relationship with him, his father, mother, anyone, they will be liberated. Just like we have got experience: if a person dies in the fight immaturely, his family is taken care of by the government. Similarly, to become a devotee is the greatest qualification. He has got everything. Yatra yogeśvaro hariḥ yatra dhanur-dharaḥ pārthaḥ. When there is Kṛṣṇa and when there is devotee, all victory, all glories are there. That is guaranteed."